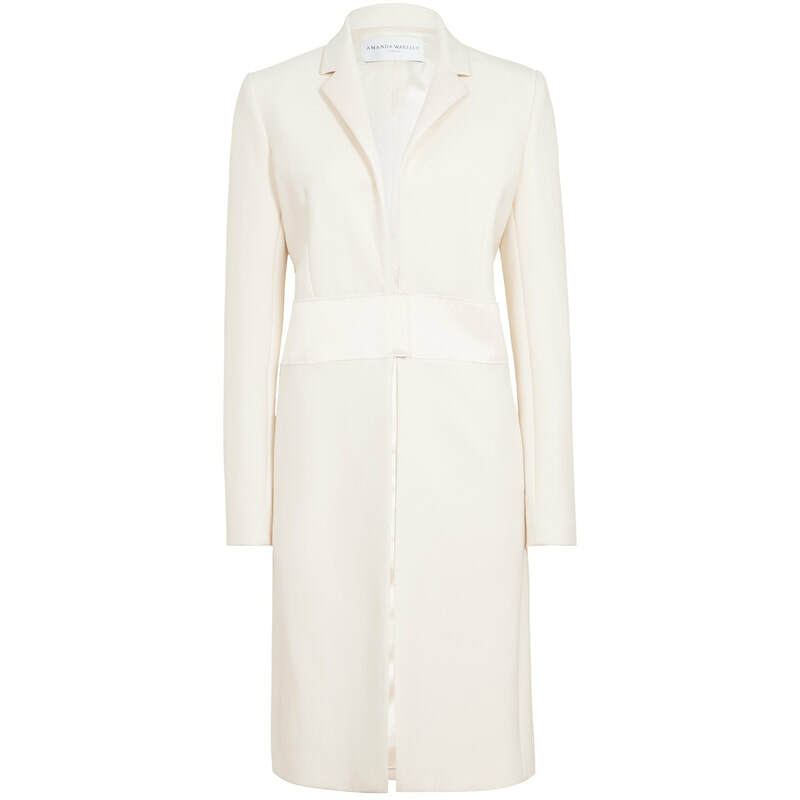 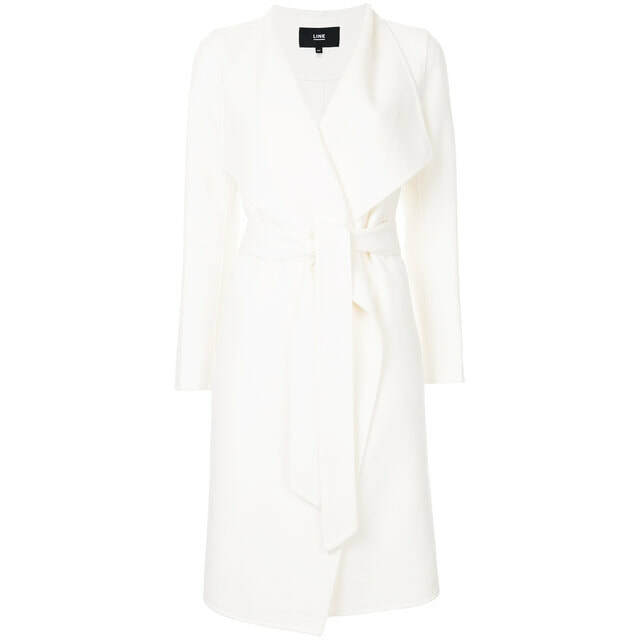 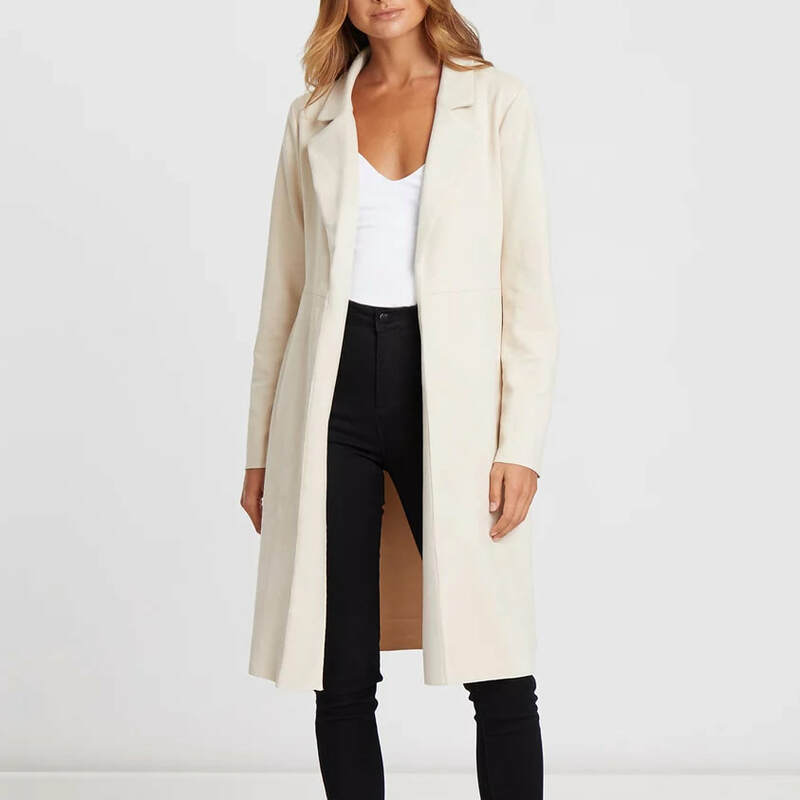 A mid length duster coat made from textured fabric. 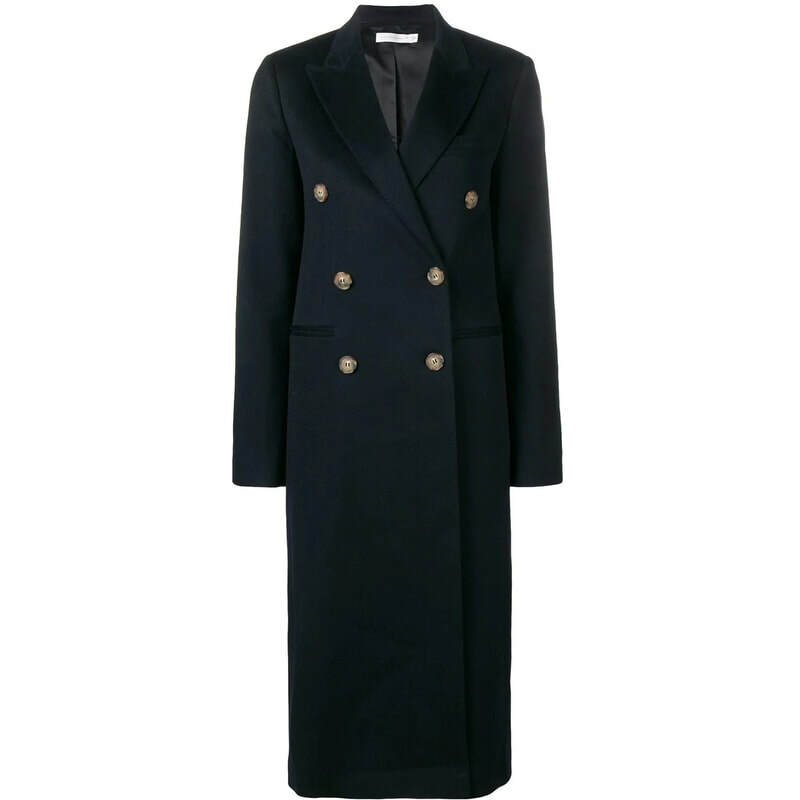 Features notched lapel, besom pockets, and a tab on the back. 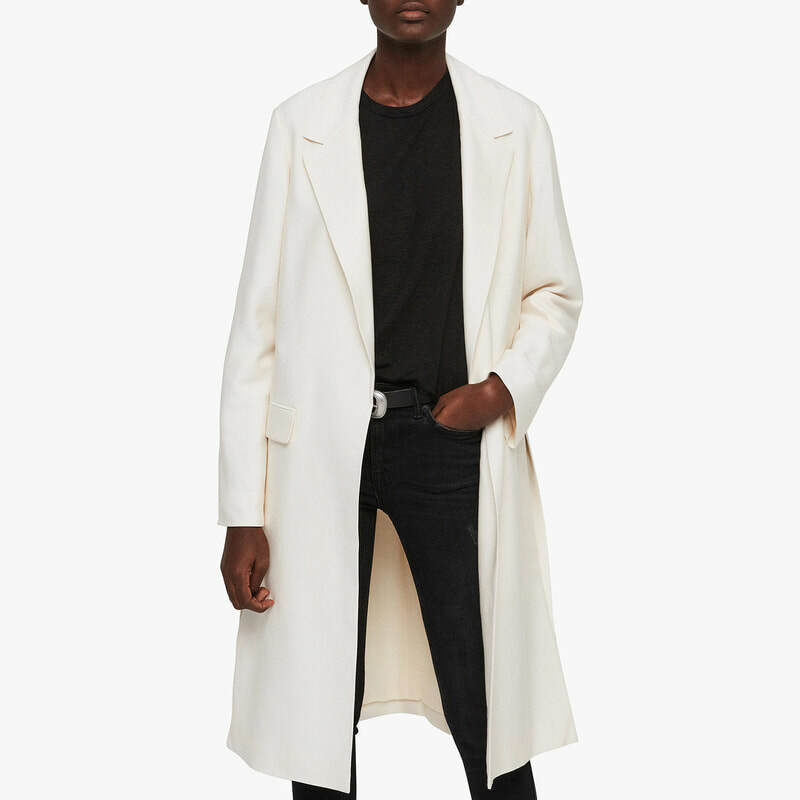 ​From Victoria Beckham's Autumn/Winter 2019 collection.